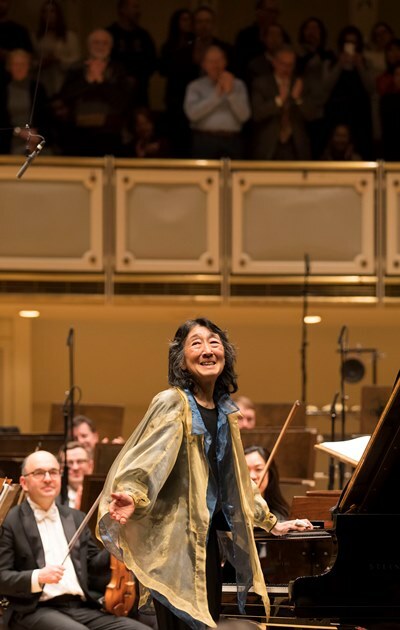 Review: Chicago Symphony Orchestra conducted by Esa-Pekka Salonen; Mitsuko Uchida, piano. May 25 at Orchestra Hall. 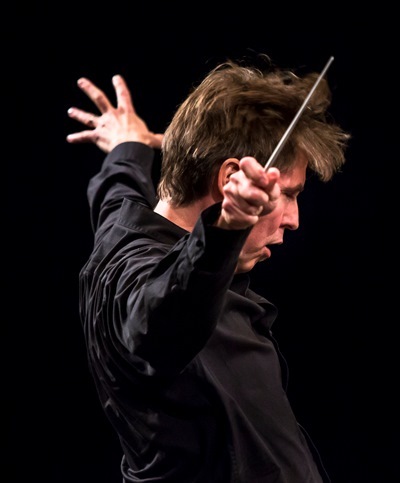 It was like two weeks with another orchestra, Esa-Pekka Salonen’s consecutive programs with the Chicago Symphony Orchestra punctuated by his leadership of the 20th anniversary concert of MusicNOW. It was a heady, exciting stretch in which the Chicago Symphony sounded like a different band. CSO music director Riccardo Muti’s ideal of this orchestra as the Vienna Philharmonic West was nowhere in sight from the get-go of a May 25 concert with Mitsuko Uchida as soloist for Bartók’s Piano Concerto No. 3. Salonen opened with a buoyant, transparent, indeed exhilarating account of Brahms’ Variations on a Theme by Haydn. The racy performance was neither characteristically German (measured and majestic) nor quite Austrian in the sense of latter-day Mozartian poise and balance. What Salonen drew from the Chicagoans was music of bracing energy and spontaneity, free-wheeling and propulsive: Brahms through a modern lens. The string playing, lean and agile, was little short of stunning in its departure from that choir’s usual burnished perfection. It’s not that Salonen was careless, but rather that he gave this thoroughbred ensemble its head – and away it ran with unfettered élan. That Salonen can elicit incisive ensemble playing when he wants it was amply evident in Bartók’s Third Piano Concerto, where the clarity and rhythmic spring of the orchestra seemed to answer Uchida’s remarkable muscularity and quickness. 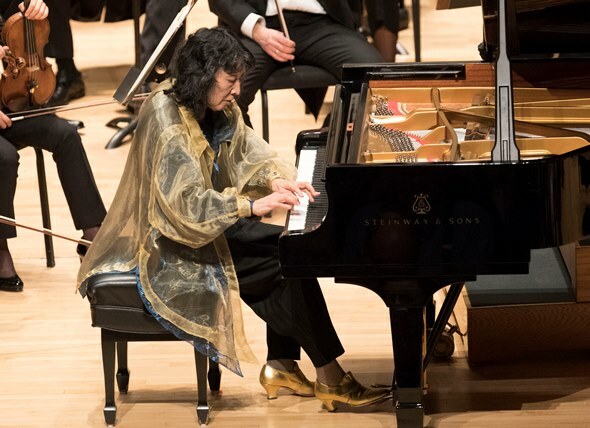 At age 69, Uchida displays physical reserves perhaps unsuspected in light of the less imposing Mozart concertos she often plays in her appearances with the Chicago Symphony. Bartók completed the last of his three piano concertos a short time before his death in 1945. Written as a birthday gift for his wife, the virtuoso Ditta Pásztory-Bartók, the Third Piano Concerto presents a more lyrical and humorous aspect than the melodically angular and harmonically acerbic Second. Uchida captured the piano part’s almost folkloric directness and certainly its pervasive wit. But no less impressive was the sheer strength she brought to a work whose outgoing character calls for real power in the manner of Brahms or Rachmaninoff. Uchida’s playing, vivacious and assured in the concerto’s bright outer movements, just as purposefully embraced the radiant spirituality that bridges those exuberant episodes. The orchestra’s assignment in the Third Piano Concerto is equally ambitious, and Salonen deftly guided the CSO through Bartók’s typically complex rhythms as well as a gorgeous tapestry of instrumental colors that recaptures the brilliance of his Concerto for Orchestra, composed less than two years earlier. The concert’s final work, Schoenberg’s “Transfigured Night” for strings alone, consolidated the impression of Salonen as a conductor who sees music as art in forward motion. No doubt the fact that Salonen also is a composer shapes his perspective on music’s continuum, but this treatment of “Transfigured Night” (1899) linked the work less to its antecedent Wagner than to a modernist aesthetic that Mahler would pursue in the Ninth Symphony (which Salonen had conducted with the CSO the week before) and in the unfinished Tenth. For all its bold harmonies and magical string textures, “Transfigured Night” – or “Verklärte Nacht” as it was titled in German by the 25-year-old composer – really does anticipate Mahler a decade later rather than Schoenberg at the same distance. Schoenberg was soon to make a radical turn down a path that would lead him to atonal and serial music. “Transfigured Night” is a sparkling tone poem, the evocation of a moment of truth between two lovers, a man and a woman who confesses to him that she is carrying another man’s child. Schoenberg’s wordless music bespeaks a poem of the same title by Richard Dehmel. At its apex – I suppose the apt word is consummation – the man opens his heart to the woman, assuring her that her child will be theirs, begot by him. It’s amazing how modern Schoenberg’s intensely romantic essay still sounds today, and Salonen’s keen sense of its scintillating harmonies and colors affirmed that freshness. The CSO strings made glorious work of it – supple, lustrous, weightless.